-	Circular Column system is easy in erection and adjustment. The two halves of the column formwork are of highest manufacturing quality to avoid the need of matching pairs, which simplifies daily use. -	It prevents the freshly poured concrete from escaping according to the special design of the panel joints which results in perfect concrete surfaces. -	The release agent coating minimizes the concrete adhesion and therefore the cleaning costs. -	Connecting panels using the ACROW Bolts ensures that the connection is flush tight. 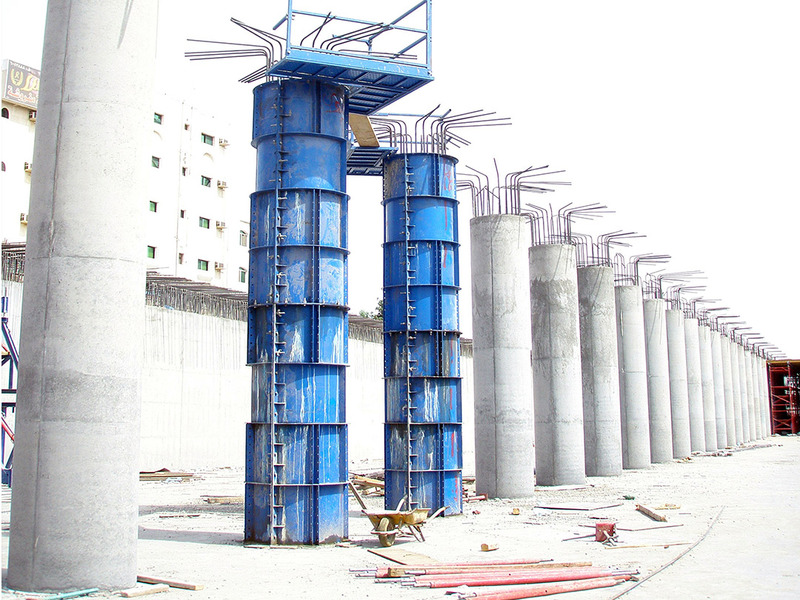 -	Height increments of 500 mm can be achieved using variable formwork height. -	Panel standard height are 50, 100, 300 cm. -	Panel diameter is variable ( 25 cm to 200 cm), special sizes available on request. -	Using the different panel heights, height increments of 1000 mm could be easily achieved. 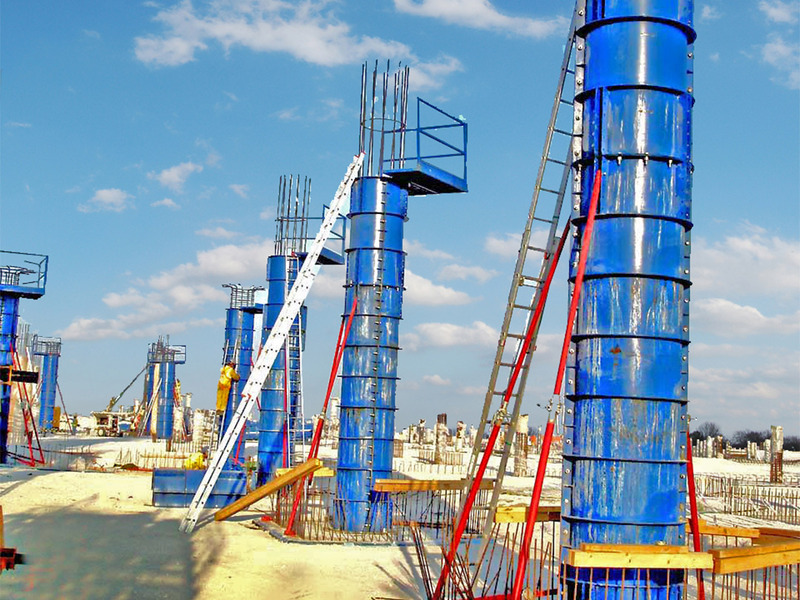 -	The special steel circular column formwork provides first-class concrete surfaces.